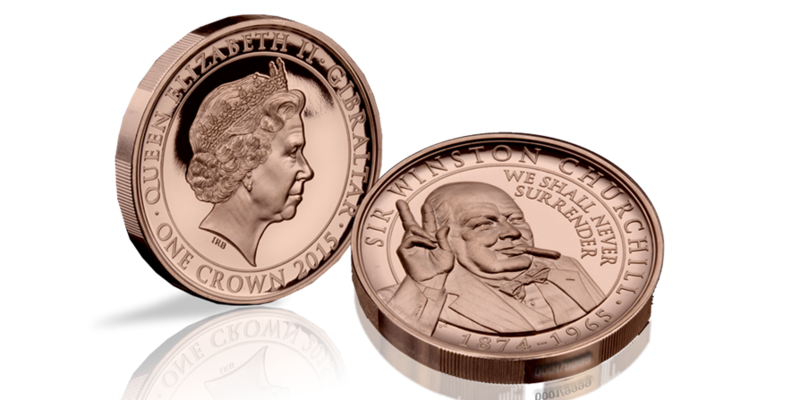 The Churchill Commemorative Crown Coin layered in real 18 carat rose gold, has been struck in honour of our nation’s greatest statesman. Only 9,999 complete sets are available worldwide and each coin is individually numbered. This means your coin is the only one in the world with that number, which makes it completely unique to you. Paying tribute to one of the greatest Britons of all time! An official Winston Churchill commemorative legal tender five coin set, layered in Rose Gold and beautifully accented in pure 24 carat gold, has been issued to honour Britain’s greatest wartime Prime Minister. Each coin pays tribute to one of Churchill’s greatest speeches. You can secure your limited edition five coin set today and receive a total saving of £22.95 and a free Premium Presentation Pack (usually £2.95). The remaining coins, each accented in pure 24-carat gold will be sent to you at convenient monthly intervals for just £29.95 each (plus £2.95 P&P). You can stop receiving the coins at any time. All purchases are protected by The London Mint Office 14 day “no quibble” return guarantee. The Winston Churchill Inspiration to a Nation Set has a strict limitation of 9,999 sets worldwide so secure you order today to avoid missing out.